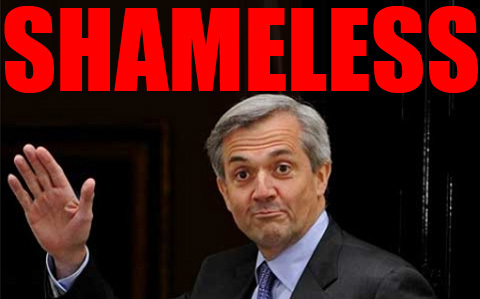 Chris Huhne is about to lecture you about the economy, suggesting that it’s evil “Tea Party” Tories who are threatening the economic recovery by calling for less tax and a look at our position in Europe. Of course his own raiding of the already stretched bank accounts of hard working families in order to fund his green vanity projects is perfectly legit. UPDATE: Paul Waugh has a couple of intriguing snippets – not only was he singing their praises on the fringe, but Huhne will be attending next week’s Labour Party conference in Manchester.